Rayna is worn upon the wrist and features the vintage technique of ruching. This is a wonderful choice for a special prom or bridal purse. It can be enhanced with a variety of beads, gemstones, or pearls. 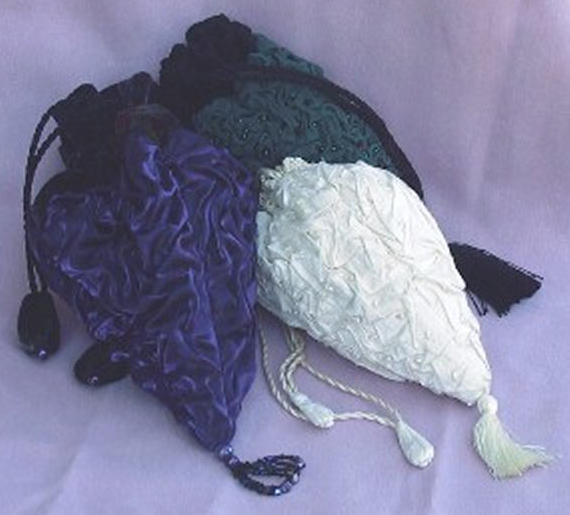 Options include two versions with a crocheted edge closing and one with a drawstring casing for the non-crocheter.